Arcades are a fun attraction at many mini-golf and go-kart facilities, drawing in customers of all ages. How the arcade is set up and maintained can make a big difference in profitability by driving traffic, drawing in visitors and keeping them at the games. Arcades that are attractive, clean and have a variety of games are typically more appealing to visitors and more profitable for the facility. Planning an arcade that appeals to a variety of interests and ages can help your arcade attract groups and repeat players. 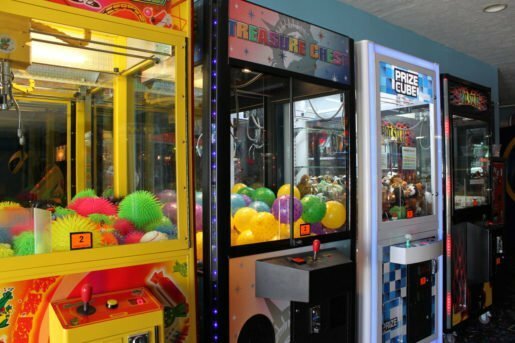 Arcades that offer prizes can choose higher-quality prizes that appeal to a broad range of customers and increase their visitor traffic. These strategies are employed by arcades to boost revenue, bring in visitors and keep them coming back as repeat customers. Arcade games at Fun ‘N’ Stuff in Macedonia, Ohio. The general manager looks for appealing prizes that encourage visitors to play the games. Don Pownd also values maintenance at his facility. As the owner of The Pit Indoor Kart Racing in Mooresville, N.C., Pownd said that promoting cleanliness and regularly cleaning helps his business prepare for customers and keep them there. “Keep it clean. That’s hard when your customers are buying sodas and eating snacks,” Pownd said. There’s enough foot traffic in arcades to create a need for regular cleaning in order to keep the facilities attractive to customers. Pownd mentioned that many customers say they love how clean The Pit is. Since food and drink are consumed near the games, it is important to clean game controls and buttons regularly. Visitors expect a clean environment, Pownd noted, so arcades should be ready to meet that expectation. Testing games is important, as a guest may walk away from a malfunctioning machine and never report it, the general manager of Fun ‘N’ Stuff said. Shown are crane machines at the attraction. Pownd also highlighted the importance of making game facilities family and group friendly. “It’s important to have good sight lines so parents can see the games and see their kids while they play. Kids should also see their parents. Sight lines are important as you design the layout of your games,” said Pownd. Visibility is a necessary part of every great arcade. Making the games more visible also increases traffic to the games and allows visitors to see which titles are available. New or featured games can be made more visible to customers as they walk in, allowing visitors to quickly find the games they’re looking for. Moving the games can drive traffic to different areas of the arcade and keep visitors moving. Marshall Fairman, operations manager of Sugar River Raceway in Broadhead, Wis., agreed that investing in facility maintenance pays off by bringing more visitors and keeping them happy. He said “It takes hard work, but you have to really keep up the grounds. Maintenance keeps everything operational and looking great.” Sugar River’s most significant attraction is go-karts, Fairman added. Keeping them maintained keeps visitors at the raceway. Through positive referrals, Fairman said Sugar River built a significant part of their customer base. Customers see how well-maintained the facility is, participate in special events and parties planned with help by staff, and recommend the raceway to others later. Thanks to successful marketing and the facility staff’s hard work, the raceway has 10,000 go-kart customers per year. Offering party planning and event assistance to interested visitors allows more people to hold events such as bachelor parties around a go-kart theme and helps sustain the business. “Bachelor parties that we plan and organize for each group are very popular and represent a significant core of our business,” Fairman noted. 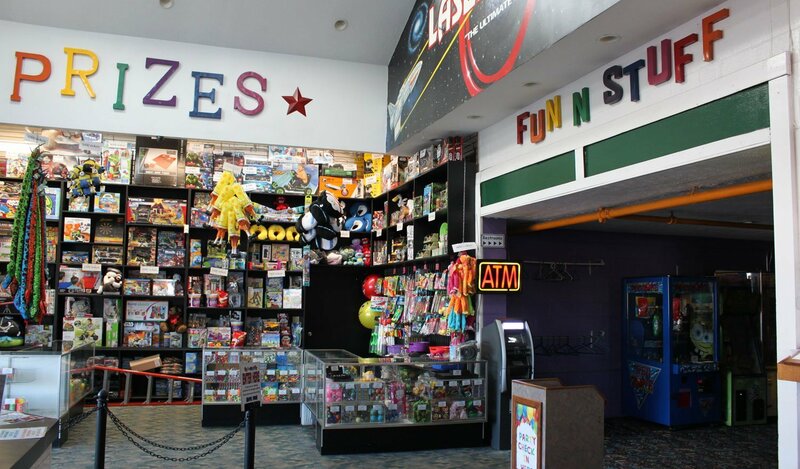 A prize counter and the arcade area at Fun ‘N’ Stuff. Keeping the prizes appealing, new, and different helps the arcade bring back local residents and prevent them from becoming bored, the general manager said. For many businesses, marketing strategies such as offering prizes also contribute significantly to revenues. At Fun ‘N’ Stuff in Macedonia, Ohio, General Manager Bob Switalski looks for appealing prizes that encourage visitors to play the games. “Nowadays, arcade is mostly redemption-driven. We have a large area with prizes for both kids and adults. I’m always looking for new prizes, and I want to find quality stuff that doesn’t just break right after they arrive home with it,” Switalski said. Every week, Fun ‘N’ Stuff staff shop around for new vendors. Keeping the prizes appealing, new, and different helps the arcade bring back local residents and prevent them from becoming bored with what the facility offers. The arcade also rotates games four times per year and brings in new titles. These changes provide visitors with a different arcade experience, keeping the arcade fresh and new for repeat customers. Thanks to these strategies, a lot of visitors actually believe the arcade changes completely with each season. Old games that Fun ‘N’ Stuff decides to keep are moved to different areas of the arcade to freshen the game selection and keep the appearance new for customers. 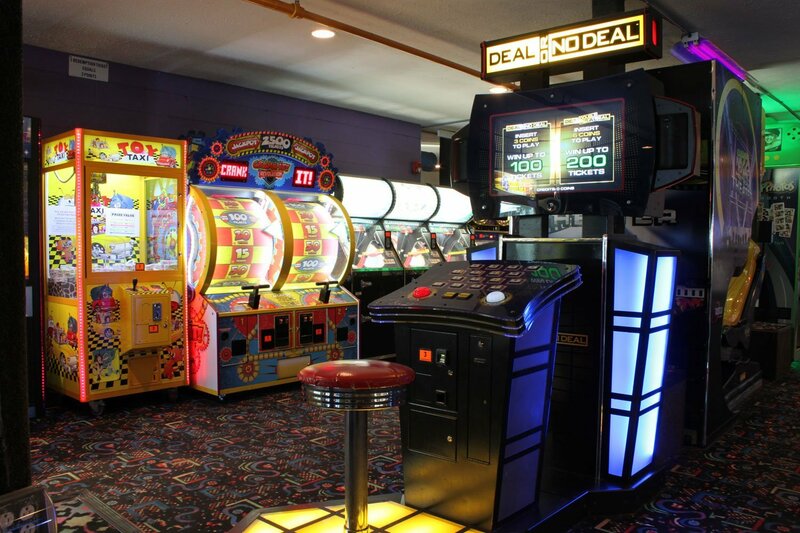 The game selection itself has a mix of games that appeal to different interests and ages, just as the arcade offers prizes that appeal to everyone. Switalski agreed with the importance of great maintenance. He suggested that businesses with arcades test their games regularly to ensure that the games stay fully operational and don’t frustrate customers. “Make sure someone tests every single game, at least weekly. Test out the different features, test every coin slot and every card slot on a regular basis. The game might be working properly but some part of it could break down, and you wouldn’t know unless you test it,” he added. If one part of a game isn’t working, customers may simply decide to move to the next game and may never report it. Some visitors may not realize how valuable their feedback is, may not have time to say something, or may be young and not understand what’s wrong with the machine. The most reliable way to find out, he said, is to test everything yourself or have a staff member verify that every game is in good working order.